This defect exclusively occurs at die cast parts. Its degree is defined by a roughness profile. It is partly also referred to as scratches or pulls. 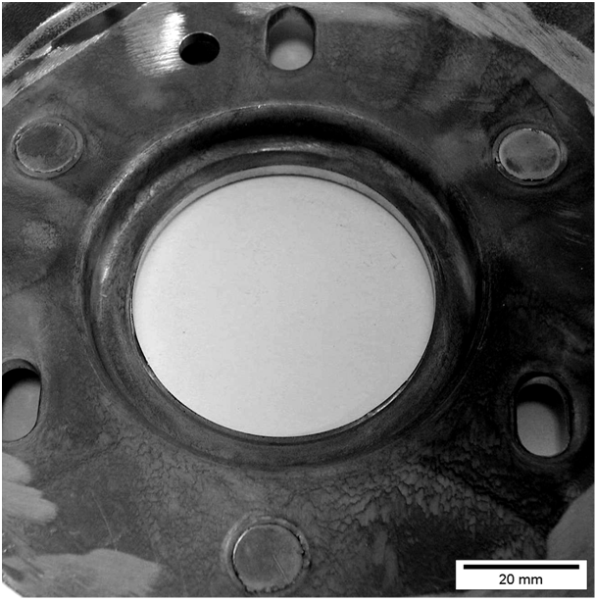 The defects appear as blank and glossy scratches and occur at the casting surface in parallel to the output unit and to the drawing direction of moveable cores or in parallel to the opening stroke of the mold (fig. 1). Usually, they can be seen with the naked eye and quantified by means of measuring the roughness. This defect is generally caused by a high speed of the melt at the gate (flow speed during die casting) in combination with high mold temperatures and long closing times. Of course, the defect is also influenced by the type and dosing of the respectively used separating agents just as low demolding inclinations and molds damaged by erosion. This defect is also promoted by a low iron content in the alloy. The use of faultless molds or regular inspection of the mold surface for erosion. Increased dosing of the separating agent and its concentration. Review of the type of separating agent. Reduction of the closing time. Reduction of the mold temperature. Review of the demolding inclination. Reduction of the speed of the melt at the gate.